If you want to build everlasting relations with your customers and clients, having a great brand story is a must. Telling your story is a critical part of building your brand. It enables people to identify your brand, care about it and help you shape the way your brand is viewed by customers. The brand stories encompass the fact and feelings that are created by your brand or business. It is “Why and How” of your business, including your mission, vision, struggles, and success. A brand story should not only state facts but also encapsulate feelings. Establishing an emotional connection is crucial. While we may seem to take decision rationally, it is influenced by our emotions. If you can connect with your audience at this level, you can keep them hooked and drive more engagement to your brand. In order to help you create your brand story, here are 11 key elements that will help you bring business and grow. The originality of the brand could only be achieved through honesty and transparency. Customers appreciate a business that is upfront with their intentions and not trying to fool them. It is not enough for a business to exist simply to make profits. A brand with a purpose will do a lot better in the long run. Your vision is all about the impact you want your brand to make in the world. It refers to the ideas behind a brand that help guide the future. Brand value is the set of principle and rules your brand follows to execute your vision. It would be much productive if your brand shares the same value as your customers. Name and Tagline of the brand are very vital, as they represent the brand’s identity. The name must be recognizable and the tagline needs to concisely say as much as it can about your brand. A brand is identifiable by its design, which is mostly done through the logo. A first thing that the customer recognizes. Your content and copy are the bread and butter of your brand story. They fill in the gap and add more details, helping you to attract your customers. They are like the personality of your brand. Nothing represents a brand more than your actions as a business. Every action matters, from how you run your operations to how you interact with customers and what you serve them. All of the events experienced by customers before and after the purchases are part of the customer experience. No matter how good your product or marketing is, it’s nothing if you can’t fulfill your promises. Brand positioning is not an action in itself, but a direct result of what you do. You cannot in reality change how consumers reason or perceive things. The only way you can affect your brand’s positioning is through your actions. A strong brand position means that the brand has an exclusive, credible and sustainable position in the mind of consumers. It is how you’re audience see your brand and position it in their minds. It is how you win their hearts and not manipulate their minds. The price of your products and services and their quality in return will determine the true value of your brand. This will also relate to which kind of customers your brand attracts. You may be a budget brand or a luxury brand, but the quality is always expected. The way you get your products and services to your customers is equally important as what you sell. It may give you a competitive advantage if your methods are unique or very convenient. Customer stories or testimonials about your brand can help you build your brand. Brand evangelists play a very important role in brand building. A community of loyal customers built over time can factor significantly into a brand’s ongoing success. Customer stories can spread to people, which may or may not lead them to buy your products and services depending on their experience with the brand. A brand’s reputation is everything, and marketing alone can’t reverse a brand’s bad reputation. Maintaining a good reputation is the most important factor in ongoing success. 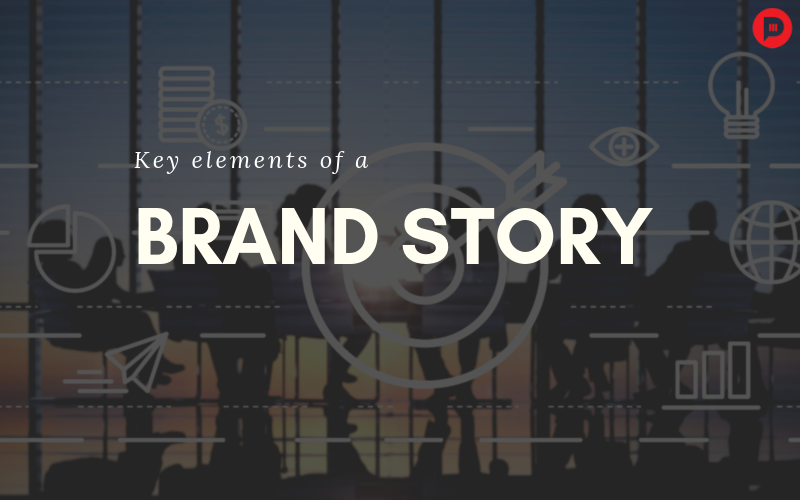 All in all, these elements in combination will form your brand stories. The better you connect your brand and audience, the more successful your marketing efforts will be and hence the growth of you’re brand. What’s your take on it? And what’s your favorite brand story? Let us know in the comments below. Previous Article3 Ways Consumer Shopping Is Reforming in 2019! Next Article 5 SEO Recommendations That Matter the Most!